Like the silhouette of a 50-foot tall gorilla emerging from the mist, details are slowly taking shape for the King Kong origin story Skull Island. In September, it was announced that Tom Hiddleston (Thor) would star, and now Deadline reports that the urbane Hiddleston will be joined by explosively intense J.K. Simmons (Whiplash). 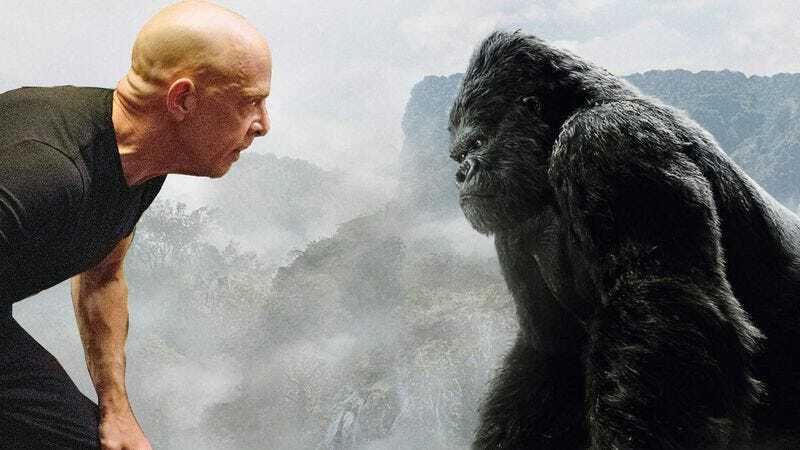 While Simmons’ role has not been announced, we expect his character will be snapping, screaming, and chomping at every other primate within earshot.